Hello ... Hello ... my old friends ... It's great to see you once again! 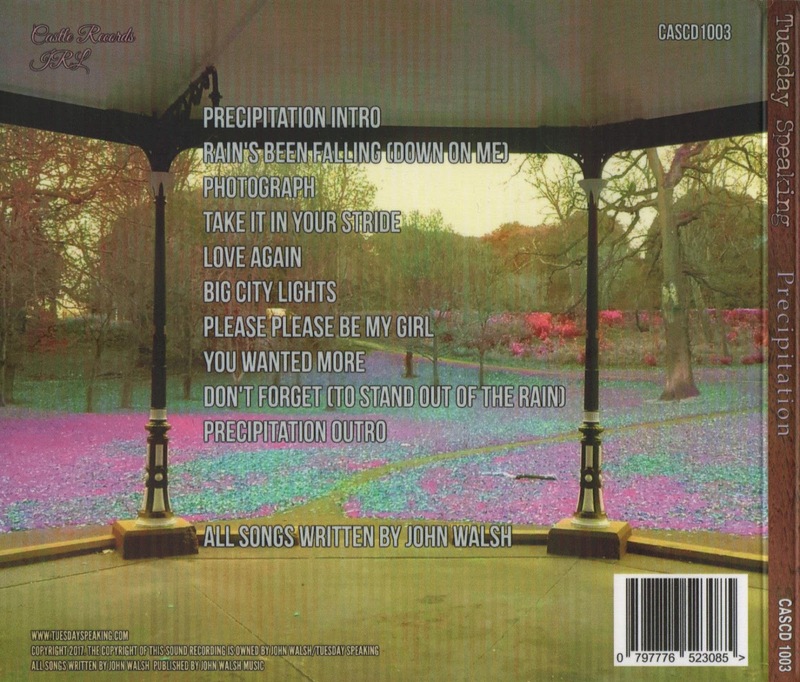 You would think that a concept album replete with the twin themes of rain and regret and full of songs clearly influenced by ELO, The Beatles, Lennon, Macca and Bowie would be a sure fire recipe for success ... and you'd be right! Dublin based Tuesday Speaking - the musical vehicle of John Walsh - have remastered and restored a set of songs recorded originally between 1995-2002, added some new arrangements plus a recently recorded "Intro" and "Outro" in order to create new album "Precipitation" (Castle Records CASCD1003), the follow-up to the impressive "2016", released last year. From the first play and having subsequently listened to this album constantly in the last week, Yours Truly KJS has come to the conclusion that "Precipitation" is a remarkable record. It manages to combine all the elements that thrill the fans of ELO/Jeff Lynne ("Photograph", "Big City Lights", "You Wanted More") and The Beatles ("Please Please Be My Girl") - with a nod to John Lennon ("Don't Forget (To Stand Out Of The Rain", "Take It In Your Stride"), Paul McCartney ("Love Again") and David Bowie ("Rain's Been Falling (Down On Me)" is what a Lynne and Bowie duet might sound like) in particular - whilst displaying the creativity and songwriting talent of the aforementioned Mr. John Walsh. There are moments of sonic genius here with the fantastic "Take It In Your Stride" (a wonderful take on Lennon's "Starting Over"), "Big City Lights" and "You Wanted More" (the most ELOesque of the songs on view) with "Please Please Be My Girl" unashamedly a tribute to the glory of The Fab Four in their early years. 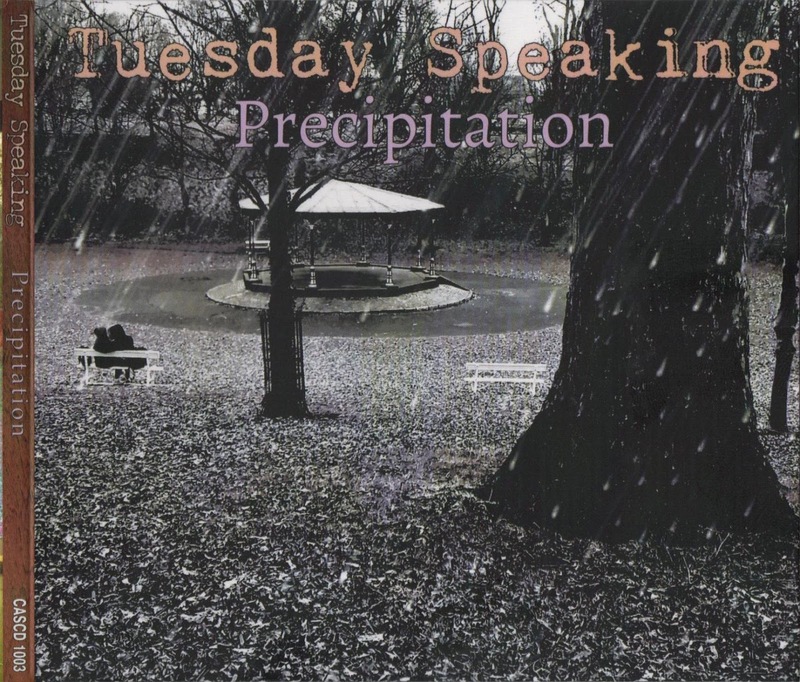 elobeatlesforever (elobf) recommends "Precipitation" by Tuesday Speaking to those enlightened folks who enjoy the music of ELO, Jeff Lynne, Roy Wood, The Move, The Idle Race, 'Brum Beat', The Beatles, Pugwash and related artistes.